﻿ Pine Bungalow, Krabi | FROM $11 - SAVE ON AGODA! Have a question for Pine Bungalow? "Bungalows are situated near the beach." "Isolated, beautiful sunsets on beautiful beach." "Very helpful staff and simple but clean room with decent bed..."
Whether you're a tourist or traveling on business, Pine Bungalow is a great choice for accommodation when visiting Krabi. The excitement of the city center is only 27 km away. 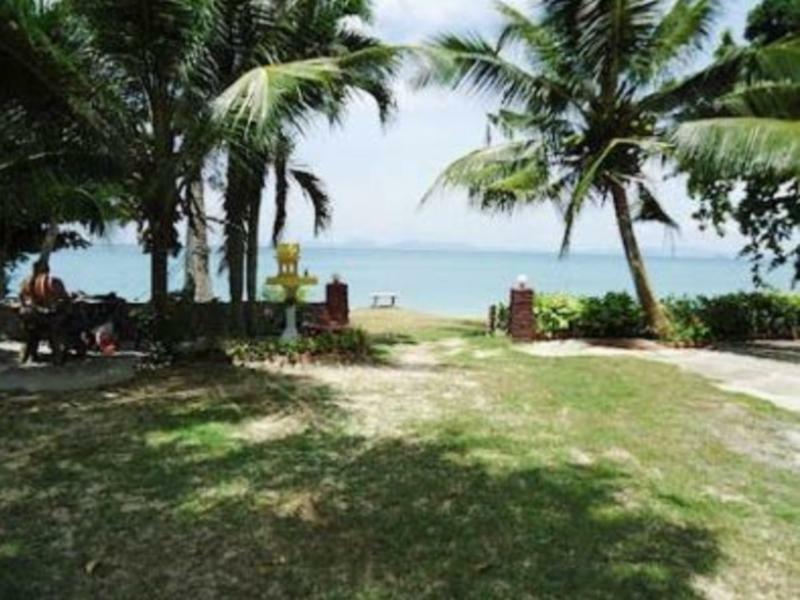 For those of you who want to venture out, Klong Muang Plaza, Laem Hang Nak, Tubkaak Beach are just some of the attractions available to visitors. Pine Bungalow offers impeccable service and all the essential amenities to invigorate travelers. While lodging at this wonderful property, guests can enjoy Wi-Fi in public areas, car park, airport transfer, restaurant, laundry service. Hotel accommodations have been carefully appointed to the highest degree of comfort and convenience. In some of the rooms, guests can find air conditioning, balcony/terrace, fan, shower, seating area. The hotel offers many unique recreational opportunities such as private beach, garden. Superb facilities and an excellent location make the Pine Bungalow the perfect base from which to enjoy your stay in Krabi. I have recently stayed with my wife in Pine Bungalow for a week. It is obviously not a 5-star place and I was also not looking for one. But it turned out to be a 5-star experience. It ticked all the boxes and some more. - no disturbing TV in the room or restaurant or anywhere else - checked - LOTS of greenery - checked - bungalow->beach distance less under 20 seconds - checked - clean quiet private beach with beautiful sunsets - checked - super clean room with firm mattress, fan and hot shower - large sitting area complete with table and lazy chairs in front of the bungalow I could go on and on with my praises. The food in their restaurant is not only reasonably priced but it's one of the best I have ever had in Thailand. Their staff is attending to your needs and the overall atmosphere is very welcoming to all the possible guests: young backpackers, families, retirees, couples, cats and dogs. The place was at the beach side. The food were delicious. Can't complain. The place was a bit far from many activities but it suited me because I went there to relax and get away from too much city bustle. I had a short stay due to it was my last day in krabi but I will definitely come here again in my next stay when I'm in krabi. It's a perfect place to relax, the beach is clean and halaal food was easy access. It's a 15 minutes journey to ao nang by bike, but it's far from the noise. If you're looking for a place to relax, then here will be it! We booked a room with airco, but they said we booked without (we had proove on paper) and all other rooms with airco were full. Place looks nice and at the beach but room was very dirty! Most dirty place I stayed in Thailand and I stayed in a lot of places. If they clea it up its very good place to stay. Bit far from town but for us no problem because we had car. We rented a family bungalow with air con two steps from the private beach. 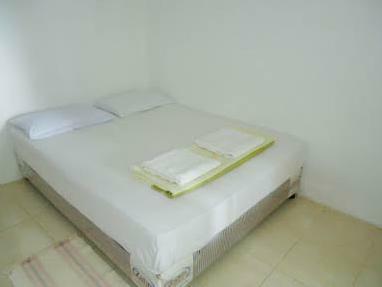 Very helpful staff and simple but clean room with decent beds. Stay here if you are looking for peace, no party, just peace! The service at the restaurant was too slow. I waited for my food for 45 minutes after I had ordered. They need more staff in their kitchen. Some foods are ok, but some are not good. The fan in my room was too noisy and did not swing. Their housekeeping did not refill shampoo and bath gel unless I inform to the reception. They did not provide free water bottle every day (only the first day they provide free bottle.) Because no shop around here, we have to buy expensive water from the restaurant every day if you need. (One bottle costs only 13THB in seven eleven, but it costs 30THB here.) But the location is excellent. The beach is beautiful. If you rent a motorcycle and go to other restaurants for dinner, the place might be ok to stay. Once arrived upgraded room to air con. Hot shower wouldn’t work just kept tripping the electric. Checked out after one day manager was happy to refund for the remaining days we had booked for. Miles from main town Ao Nang we moved to a closer hotel which was great. Recommend this place to everyone who want to have a wonderful experience in Krabi. You have all the service at a good price... Different types of rooms according to your necesities. Book it and come to enjoy! A little bit expensive to get there from krabi airport a very Nice place for Families. With motorbike you can go somewhere else without is it difficult. But you can rent it there. Very delicous food but for my backpacker budget a little bit to high price. Nice and clean bungalow but for me i prefer a little but more distance and privacy. Very green between the bungalows like a flower garden. For Krabi Area a nice place. If you want to avoid the crowds of Krabi, this is it!! It is 30 min from Krabi, but well worth the trip! They have well feed dogs and cats! If you love pets, this is a great place! I plan to come back! We stayed six nights in a basic bungalow with fan, which was enough for this time of year (a/c is also availble for more money). The location is great, you literally walk from your bed right into the sea. The beach is lovely on high tide, however when it's low tide you can't really swim, just have that in mind. Everything is well maintained and staff is really friendly and helpful. The food in the restaurant is excellent and the prices are average. Location is a bit quite though, you walk 15-20 minutes to the next village with family mart and restaurants. You can rent a scooter or take a taxi, otherwise there is nothing around. I really recommend staying here for a few days, take a lot of books with you (good wifi here as well), a lot of suncream and enjoy beautiful days relaxing in the hammock on the beach with a cool drink from the restaurant. 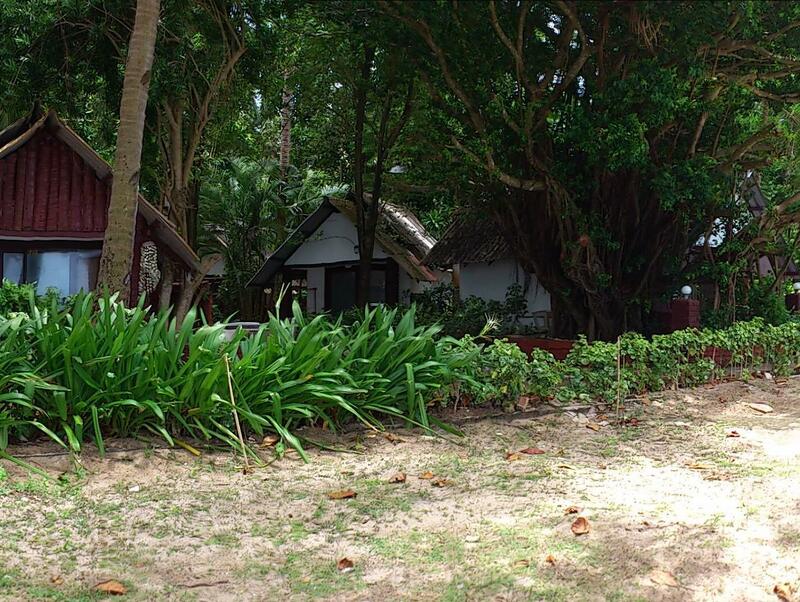 This is a quiet beach bungalow resort near a squid fishing village. Attentive and friendly staff with good English. Beach is short and tides are extreme with natural shell debris. BBQ (i.e. grilled) chicken, fish, prawns very good. Halal food available in the village up the road. Suggest you obtain a motorbike to get around once you arrive if you want to explore. Many boat trip options available to other beaches and islands. Not quite 3 star, but will be soon. Definitely worth a repeat visit for quiet relaxation on the beach. peaceful. private beach. crystal clear water at klong muang beach. If you are looking for a peace, quiet place, then this is the perfect hotel. About 30 minute motorcycle ride from the crowded ao nang beach. If you need any groceries there are some shops near klong muang beach. However the beach is full of dead corals and seashells, probably the after effect of the 2004 tsunami, making it hard to walk on it. You need shoes to walk on the beach. ee booked one night at Pine not really sure what to expect,after a twenty minute taxi from Krabi we got to Pine and the location was beautiful, out of all the hustle and bustle the private beach was stunning. 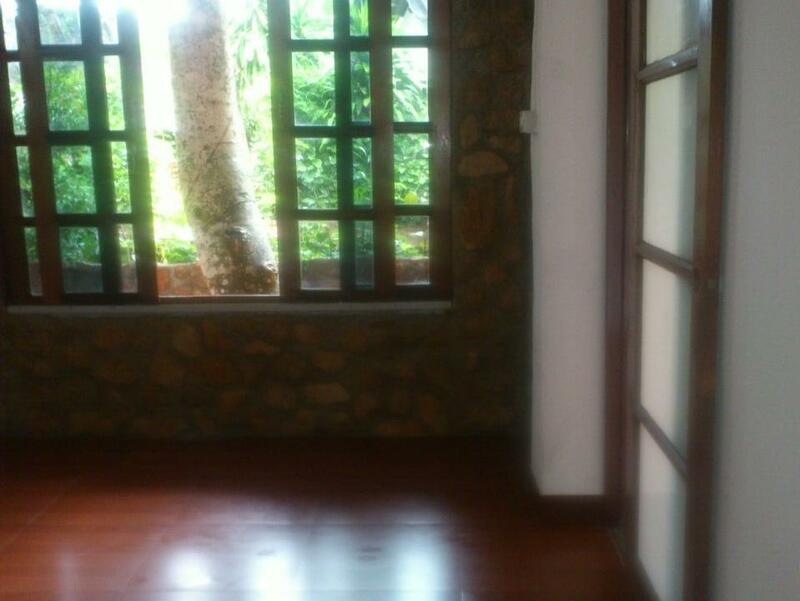 We had a standard bungalow which was absolutely fine for us and great value for money. The food was amazing and the staff very helpful and friendly. We extended our stay for another night as we liked it so much! Really nice place to relax. Hammocks under coconut trees. Nice beach and you can swim in the morning and afternoon/evening. Food in the restaurant is really good but prices are double than local food stalls. Quality of food is amazing and portions are larger so why not pay little bit extra. Staff is really friendly and helpful but some of them doesn't understand English. Quite far from Ao Nang so is better to relax here and go around this area by scooter. Reception claimed they did not receive our booking confirmation from Agoda and then gave us a cheaper bungalow next to a noisy kitchen without the view promised in the description. Staff were not friendly. Many bugs inside. Cats jumping on the roof all night.